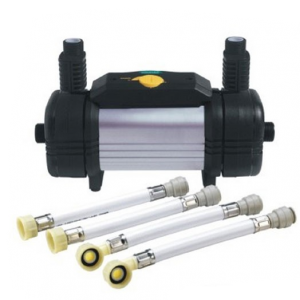 Home » Posts Tagged "replace"
Both the Bristan pumps Varispeed and the Duraspeed pumps can still be bought new as the older model shape still contrary to what has been said by many suppliers recently who are trying to sell the Stuart Turner versions. The issue when using the new replacement models is that the pipework will need to be altered to suit which invariably will cost more in time and plumbing costs. The old Bristan Pumps come branded as Tapstore Pumps but are exactly the same as the older models just with a different non return valve fitted, which is most cases can simply be removed with a pair of long nosed pliers. Basically you pull out the valve from the outlet of the pump, twist apart the plastic casing and discard of the rubber sheet that is it. Some of the very old Bristan, New Team and Showerfore models came with different connection hoses for compression fittings you can even still get these versions although slightly more expensive. You can order them from here.